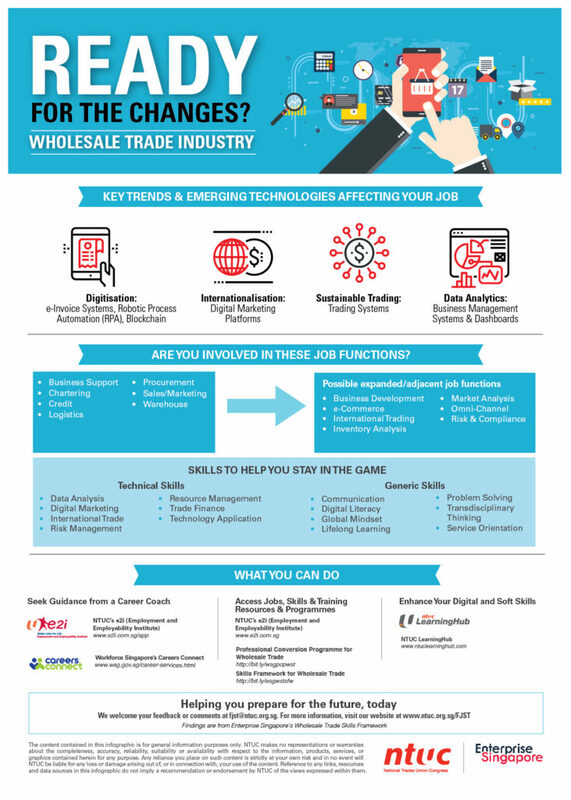 Since the launch of the Wholesale Trade Industry Transformation Map in 4Q 2017 which projected the creation of 10,000 new jobs in the industry by 2020, the Wholesale Trade Industry Tripartite Committee has co-created the Skills Framework for the Wholesale Trade industry which was launched on 14 November 2018. The Skills Framework provides key information on the industry, career pathways, occupations and training programmes for the benefit of workers, employers and training providers. It articulates the emerging skills needed by the industry due to transformation, adoption of digitalisation and rapid internationalisation of companies. 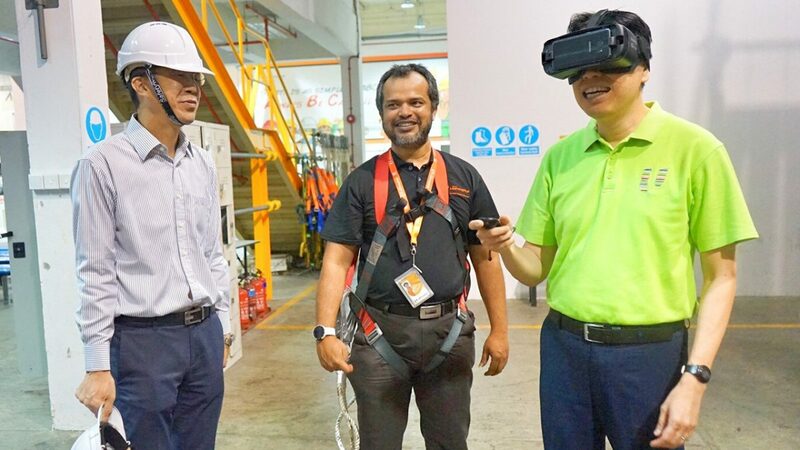 The growth and transformation of the Wholesale Trade industry is fuelled by the wave of digitalisation and e-commerce and capitalises on the rise of ASEAN and China economies which will drive demand and competition in the region. In the second quarter of 2018, the Wholesale & Retail Trade industries grew by 1.5%, with growth largely supported by the Wholesale Trade industry. Firms in the Wholesale Trade industry expect revenue to increase in the fourth quarter of 2018 compared with the preceding quarter. 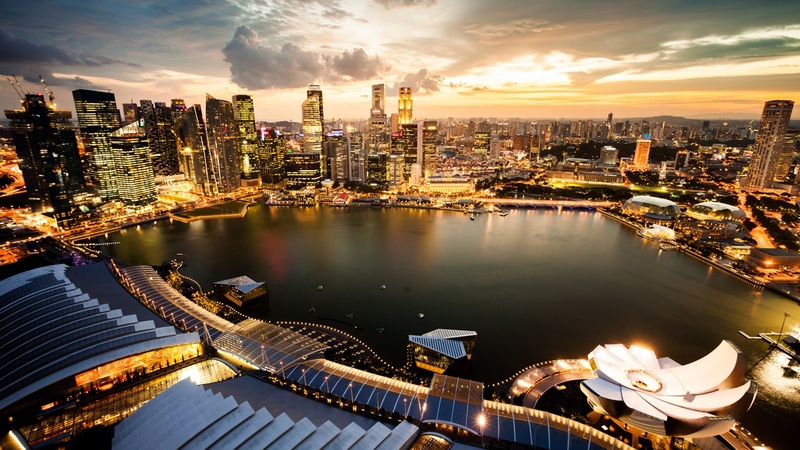 While the Wholesale Trade industry already contributes to more than 300,000 jobs in Singapore, employment demand is expected to increase, with a net weighted balance of 11% of firms expecting to hire more workers in 4Q 2018 compared with 3Q 2018. As testament to this, the Wholesale Trade Career Fair organised by Enterprise Singapore, NTUC’s Employment and Employability Institute (e2i), and Workforce Singapore with the launch of the Skills Framework featured more than 100 vacancies in trade & export, business development, operations & logistics, sales & marketing, accounting & finance, and more. Transformation of the industry means that jobs will also be transformed and workers need to be equipped with relevant skills to take opportunities in the industry. Digitisation of work will see increased adoption of e-invoice systems, digital marketing platforms and trading systems requiring workers to be familiar with these digital systems and platforms and possessing the know-how to extract strategic value out of these systems for the business. Robotic process automation will increasingly automate repetitive work processes and transform jobs previously focussed on repetitive tasks requiring little human judgment. In consultation with the Singapore Manual & Mercantile Workers’ Union, the NTUC’s Future Jobs, Skills & Training (FJST) team has identified jobs which are likely to be highly impacted by these driving forces of change. Sales, marketing and procurement roles will be strongly impacted by the use of digital marketing and e-commerce platforms while warehousing and logistics roles will increasingly see the need to incorporate the use of technology in their work processes. Chartering, credit and other business support functions which are repetitive in nature are susceptible to automation. Emerging technologies such as blockchain can have disruptive impact on transaction verification and distribution processes. Employers are increasingly looking for talent skilled in business development, e-commerce and omni-channel distribution with the ability to leverage technology to maximise value for the business. Analysts who are able to leverage data analytics technology to gain insights into the market and business are sought after while deep knowledge in international trade and risk and compliance against increasingly complex trade regulation are also in-demand. 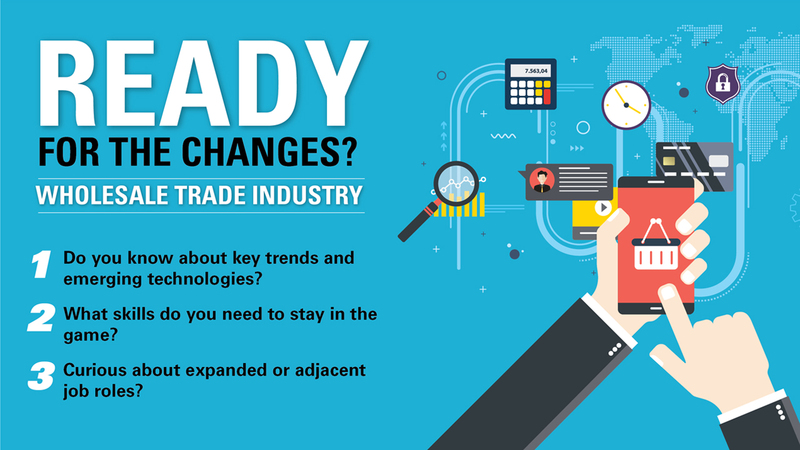 What Can Workers Do To Prepare For These Changes? Get to know how you could can tap the opportunities in the Wholesale Trade industry. Employers must also take pre-emptive steps to identify skills needs in the organisation and equip workers with the requisite skills to take on transformed roles in the organisation. The Skills Framework serves as a useful resource for employers to identify skills gaps in their work organisation. To help to move the needle in industry transformation, NTUC’s U SME (Small and Medium Enterprises) will be working with Enterprise Singapore through a joint initiative called the Wholesale Trade Leaders Circle to raise awareness of industry transformation support and the Skills Framework to SMEs in the wholesale trade industry. Employers and workers need to collectively take stock and take pre-emptive and collaborative action to transform our industries and workforce together to ensure that our economy continues to thrive and flourish in the new world. This is a blog post by NTUC Assistant Secretary-General Patrick Tay. Any extracts should be attributed back to the author, 22 Nov 2018. Previous post What’s Life Like for a Foreign Domestic Worker? Next post How Are Your Cyber Monday Treasures Shipped?